Hello Roaming is a new and upcoming startup that’s looking to redefine the way every traveller connects with those that matter. 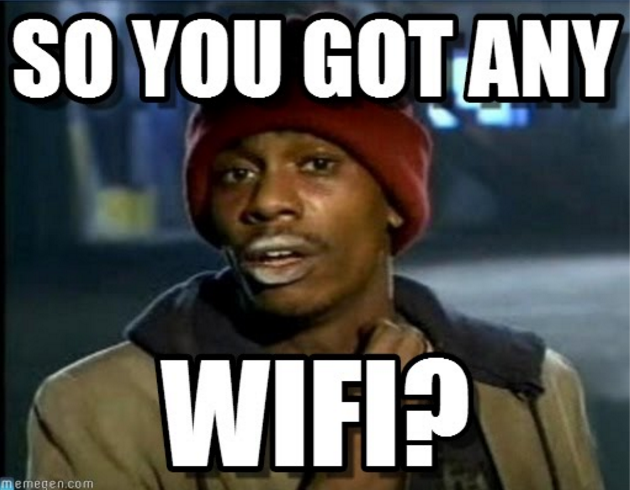 Frequent travellers understand the hassle of searching for free Wi-Fi hotspots, retailers that sell local SIM cards, and—if you’re anything like me—the hassle of hunting down signal bars so that the data roaming service can take effect, all in the name of connectivity. Connectivity is a necessity in today’s society, and you have to be connected to the people that matter to you most through your social media accounts, email, instant messaging services, and through other avenues. While we may understand its importance, it’s rather challenging to get connected overseas, especially if it’s your first time being there. Free Wi-Fi hotspots only provide you with short-lived access to the Internet and they’re quite difficult to hunt down, purchasing SIM cards from airports or ground vendors hardly guarantees you the best prices or the best options, and data roaming charges are ridiculously expensive. And to top it all of, you’ll end up having a much tougher time if you’re unable to comprehend the native tongue of the country you’re travelling to. To rid travellers of such unease, Hello Roaming’s 15-member team took to the drawing board to come up with a solution. At first, they wanted to find a sophisticated solution, one that’s built with fancy technology and relies on a complex telecommunications infrastructure. However, after numerous months of investigation and tinkering, they realised that the simplest and cheapest way to provide travellers with mobile connectivity was to offer them data rates that the locals use themselves through a local SIM card—and that’s exactly what Hello Roaming does. Hello Roaming provides you with an alternative service that you could use to purchase your destination’s local SIM cards right through their platform. 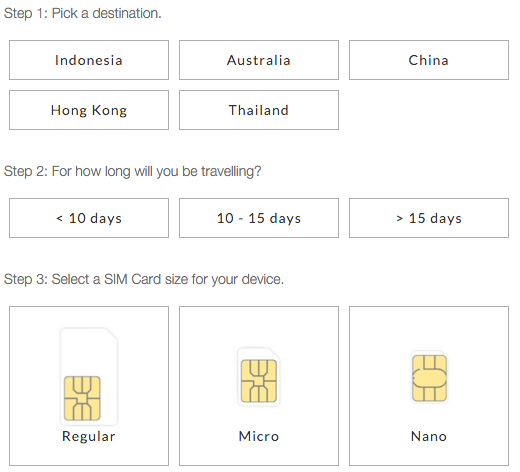 Currently, Hello Roaming offers local SIM cards from destinations like Australia, China, Thailand, Indonesia and Hong Kong. You can simply pick your destination, the duration of travel, and the size of your SIM card, and the platform will recommend options from a few telecommunication service providers. You can purchase the one that you prefer and Hello Roaming will deliver the SIM card to your doorstep within 1-3 days. While the data charges for each service vary, Hello Roaming charges a flat RM5 service fee for every SIM Card, and they only delivery to locations within Malaysia, and in some cases to Singapore. “Admittedly Hello Roaming seems rather low-tech, but it works, and it makes sense. It can’t get any cheaper than that,” Serene Gan, the Co-founder of Hello Roaming added. Albeit, it’s a relatively cheaper solution to implement than a highly technology intensive one, they still have to address a considerable number of challenges, mostly around the areas of red tape. Some countries have very complicated data plans and laws in place that govern the sale and registration of SIM cards. This means that Hello Roaming has to go the extra mile in order to understand the different laws, tariffs and rate plans that are in place in the countries that they operate in. However, the users will benefit greatly as they don’t have to go through such hassles, primarily because the onus of responsibility to comply with such laws and to streamline the entire process falls on Hello Roaming, given that this is the service that they want to offer. Also, in an interview, Serene highlighted that their biggest challenge till date is to deal with streamlining the efficiency of their supply chain and operations. “We are finding ways to fulfill orders quicker and more efficiently so that we can expand beyond what we can cope with now,” she said. In order to smoothen their operations, Hello Roaming currently deals with local partners from each destination country, and they also operate with a 15-member team that they’re looking to grow to about 20 by the middle of the year. Having launched their beta version early this Monday with the help of venture builder VLT Labs and startup incubator U-projects, the platform is targeted towards the “price-conscious traveller with mobile Internet dependencies”. “There are about more than 1 million Malaysians out there every month who aren’t using their smartphones as they normally would in fear of bill shocks later on when they return home. They are called silent roamers, 80% of this pool of people fall within our target market,” Serene Gan said. And this is an area of opportunity that Hello Roaming is looking to exploit. Given that they’re aware of the numbers and the unmatched demand from such silent roamers, they feel that they’d be able to gain traction in the coming months. The team at Hello Roaming is even considering building a top-up feature on their platform for those with an existing SIM card. This value added feature will allow users with existing SIM cards to simply reload their credit rather than purchasing a new pack. 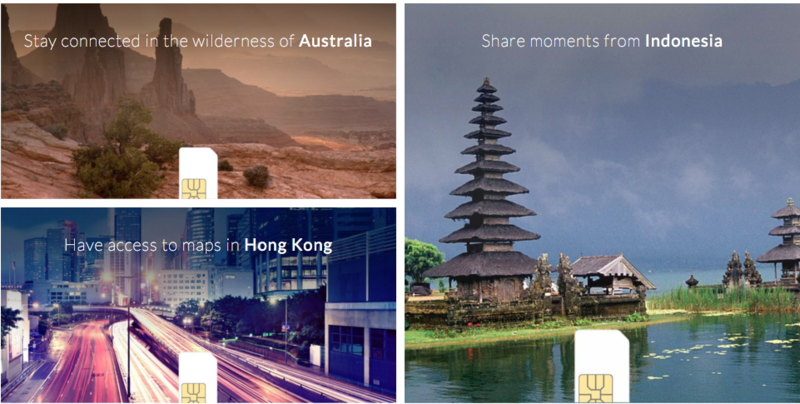 Hello Roaming has provided our readers with a promo code that will give you a discount of RM5. Use the coupon code ‘HELLOROAMINGVULCAN‘ to get the RM5 discount before the expiry date which is the 31st of March 2016.